From one of America's most prominent philanthropists, an eye-opening, myth-busting new perspective on the crisis at the U.S.-Mexico border. Howard G. Buffett has seen first-hand the devastating impact of cheap Mexican heroin and other opiate cocktails across America. Fueled by failing border policies and lawlessness in Mexico and Central America, drugs are pouring over the nation's southern border in record quantities, turning Americans into addicts and migrants into drug mules--and killing us in record numbers. Politicians talk about a border crisis and an opioid crisis as separate issues. To Buffett, a landowner on the U.S. border with Mexico and now a sheriff in Illinois, these are intimately connected. Ineffective border policies not only put residents in border states like Texas and Arizona in harm's way, they put American lives in states like Oregon, Pennsylvania, and Vermont at risk. Mexican cartels have grown astonishingly powerful by exploiting both the gaps in our border security strategy and the desperation of migrants--all while profiting enormously off America's growing addiction to drugs. The solution isn't a wall. 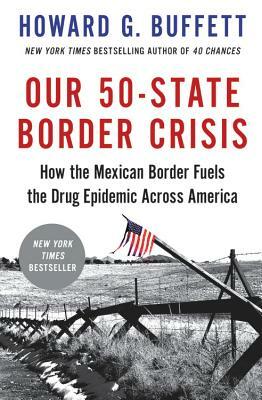 In this groundbreaking book, Buffett outlines a realistic, effective, and bi-partisan approach to fighting cartels, strengthening our national security, and tackling the roots of the chaos below the border. Howard G. Buffett is Chairman and CEO of the Howard G. Buffett Foundation. A farmer, businessman, elected official, photographer, law enforcement officer, and philanthropist, he has dedicated his life to finding solutions for some of the world's most serious and intractable problems, including hunger, conflict, wildlife trafficking, border security, and public safety. He is currently serving as the sheriff of Macon County, Illinois.